Lot line adjustment and phased development of multiple buildings to include multi-family, parking, industrial flex space. Proposal for major commercial alterations with exterior improvements. Uses will include office, retail and manufacturing. Move existing home on property to within 20 feet of NW 19th. Confirm and adjust lot lines for 2 lots. On Vacant lot develop a 50 unit, 6 story apartment building located within the Alphabet Historic District. demolish existing 1/4 block building and replace with a new construction 221 room, 15 floor hotel. New 106-unit multi-dwelling residential development. 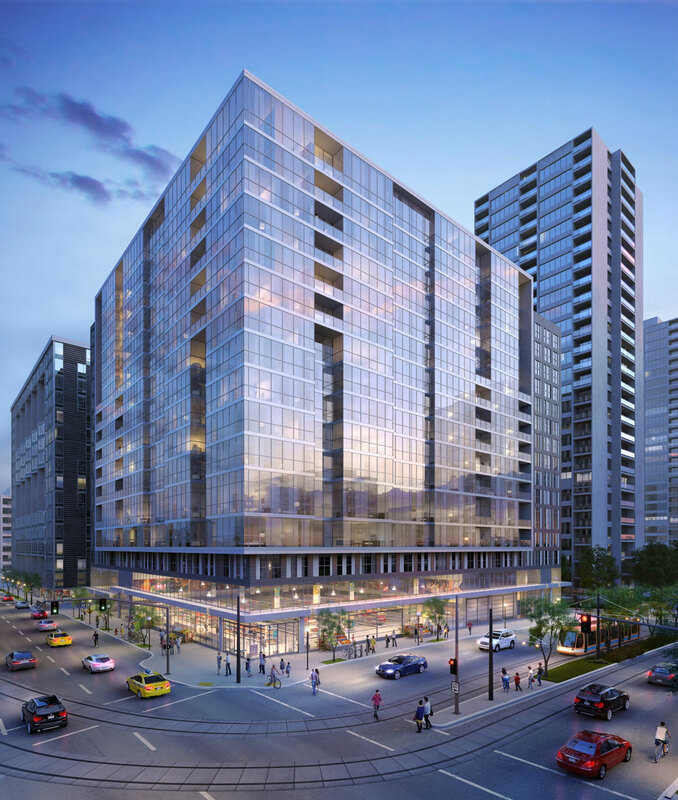 Design Review for new 15-story glass and metal panel building – grocery store at ground level and 14 stories of luxury residential apartments, above. 1 modification requested to reduce landscape area; 1 modification requested to replace landscaping with hardscape; 1 modification requested for the width of the oriel window; 1 adjustment requested to parking access & loading; 1 adjustment requested for # of parking stalls.